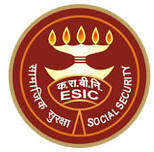 ESIC UDC Computer Skill Test Results 2017 & Top Rank List, AP, Delhi, MH, TN etc..
Home › Results › ESIC UDC Computer Skill Test Results 2017 & Top Rank List, AP, Delhi, MH, TN etc..
ESIC UDC AP Results 2017, ESIC Delhi results 2017, ESIC has announced UDC Results. The Computer Skill Test (Part-II) for the post of UDC was held on 27.8.2017 and 24.9.2017 for different Regions. The Region-wise list of Qualified, Not Qualified and absent candidates excluding Gujarat and Himachal Pradesh Region is appended with this Notice on the website of ESIC.